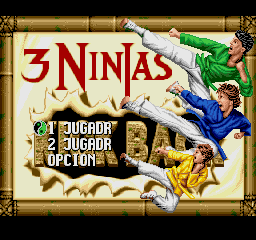 3 Ninjas Kick Back is an action platformer game for the Sega Genesis. 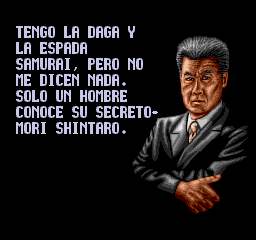 The game is based on a movie. 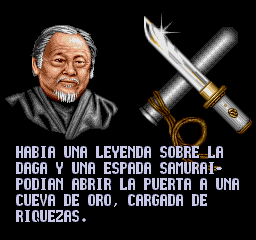 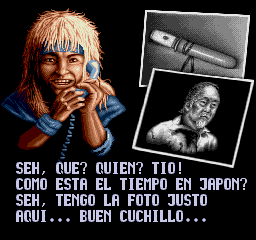 Full translation to Spanish for 3 ninjas kick back, for the Sega genesis/mega drive. 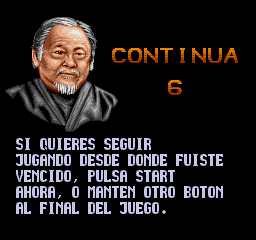 Translates everything except pause and stage end.